The central part of the near-side of the Moon, with large walled plains. The dark surface of Sinus Medii, bordered by clefts, extends into this area from the north. 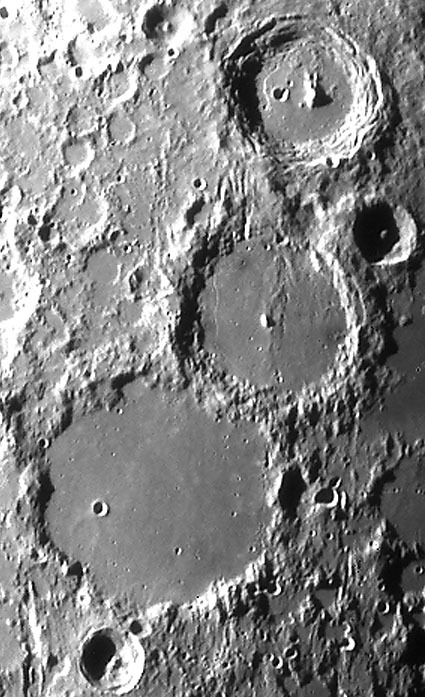 This region, like that of Section 43, contains a network of valleys and clefts radiating from Mare Imbrium. The floor of the crater Alphonsus, the subject of a number of anomalies, was the crash-landing site of probe Ranger IX. Alphonsus is about 74 miles wide and the central peak about 1.5 mile high. Refer to your Antonin Rukl lunar atlas chart, page 115.